Median gross rent in 2016: $778. Ancestries: German (53.5%), American (15.1%), English (5.2%), Italian (3.8%), Dutch (3.6%), Irish (3.1%). Nearest city with pop. 50,000+: Fort Wayne, IN (11.5 miles , pop. 205,727). Nearest city with pop. 1,000,000+: Chicago, IL (152.5 miles , pop. 2,896,016). Nearest cities: Monroeville, IN (2.6 miles ), New Haven, IN (2.9 miles ), Decatur, IN (3.0 miles ), Ossian, IN (3.2 miles ), Fort Wayne, IN (3.4 miles ), Woodburn, IN (3.8 miles ), Monroe, IN (3.8 miles ), Convoy, OH (3.9 miles ). 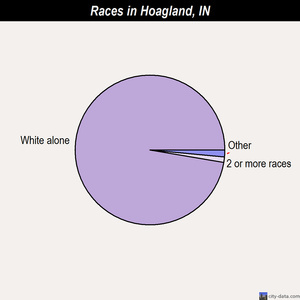 Hoagland-area historical tornado activity is near Indiana state average. It is 73% greater than the overall U.S. average. On 11/10/2002, a category F4 (max. wind speeds 207-260 mph) tornado 16.4 miles away from the Hoagland place center killed 4 people and injured 17 people and caused $30 million in damages. On 2/18/1992, a category F4 tornado 26.7 miles away from the place center injured 6 people and caused between $500,000 and $5,000,000 in damages. 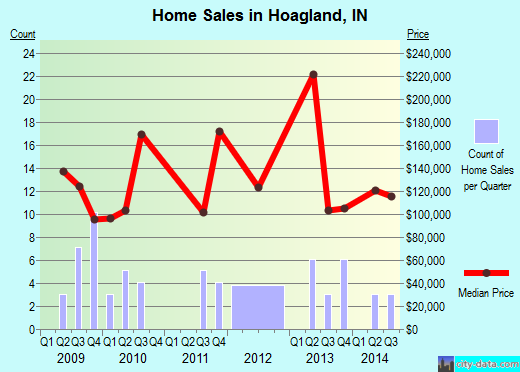 Hoagland-area historical earthquake activity is slightly below Indiana state average. 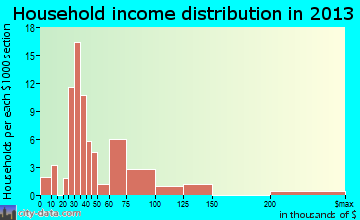 It is 84% smaller than the overall U.S. average. The number of natural disasters in Allen County (13) is near the US average (13). Causes of natural disasters: Floods: 8, Storms: 7, Winter Storms: 4, Tornadoes: 3, Hurricane: 1, Snow: 1, Snowstorm: 1 (Note: Some incidents may be assigned to more than one category). Air Quality Index (AQI) level in 2013 was 78.3. This is about average. 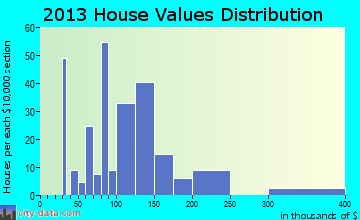 Carbon Monoxide (CO) [ppm] level in 2013 was 0.444. This is significantly worse than average. Closest monitor was 11.6 miles away from the city center. Particulate Matter (PM10) [µg/m3] level in 2009 was 24.2. This is worse than average. Closest monitor was 10.4 miles away from the city center. Particulate Matter (PM2.5) [µg/m3] level in 2013 was 9.95. This is about average. Closest monitor was 10.9 miles away from the city center. There are 5 pilots and 2 other airmen in this city.